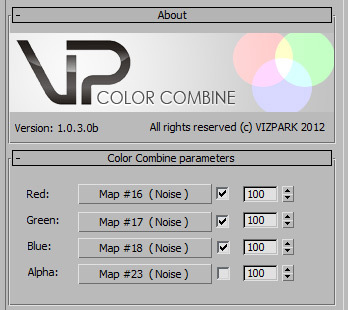 COLOR COMBINE combines three different maps into one map where each map represents one color channel (RGB). This way it´s possible to create colored procedural maps (e.g. colored noise) where the color set of a procedural map is limited. i didnt think that it will be useful but it was, great for little details, thanks! It’s not one of the most used plugins but it works well when you need it.